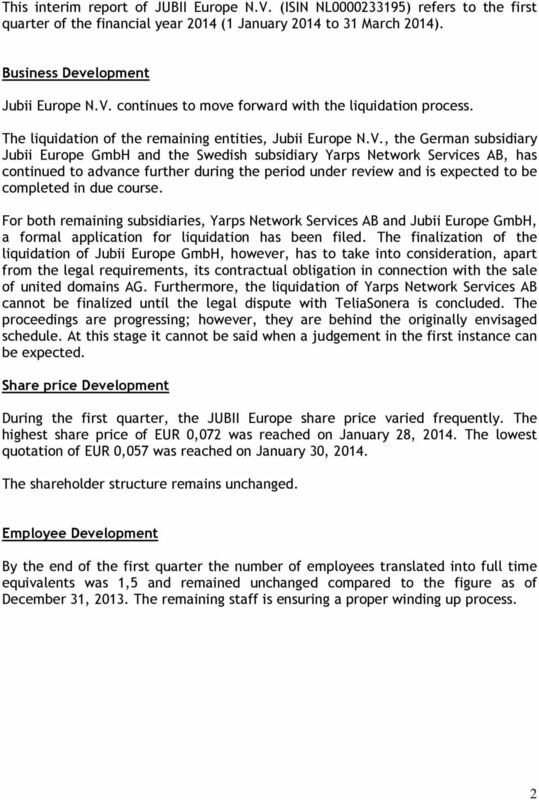 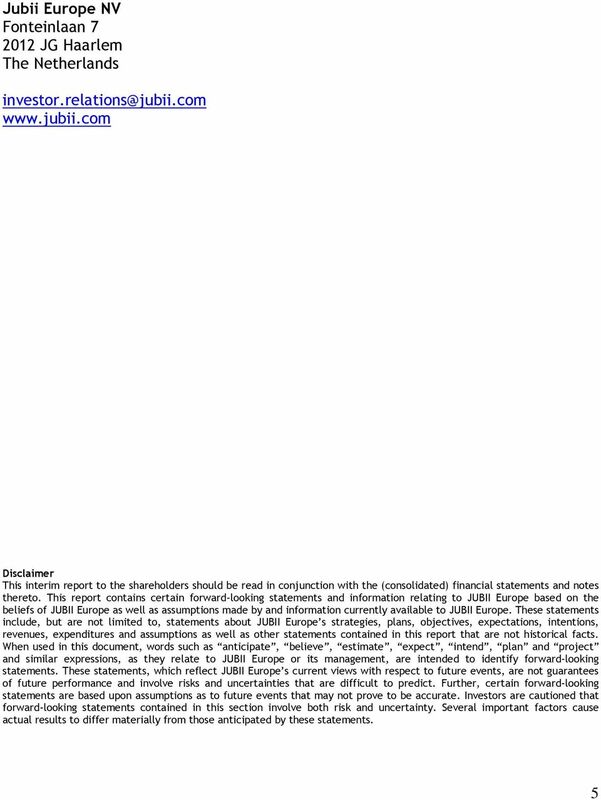 Download "JUBII Europe N.V. Interim Report For the period from 1 January 2014 to 31 March 2014"
Interim Financial Statements INTERNATIONAL WATER-GUARD INDUSTRIES INC.
Interim Report Interim Report Sales in the quarter increased to SEK 225.1 (216.9) million. 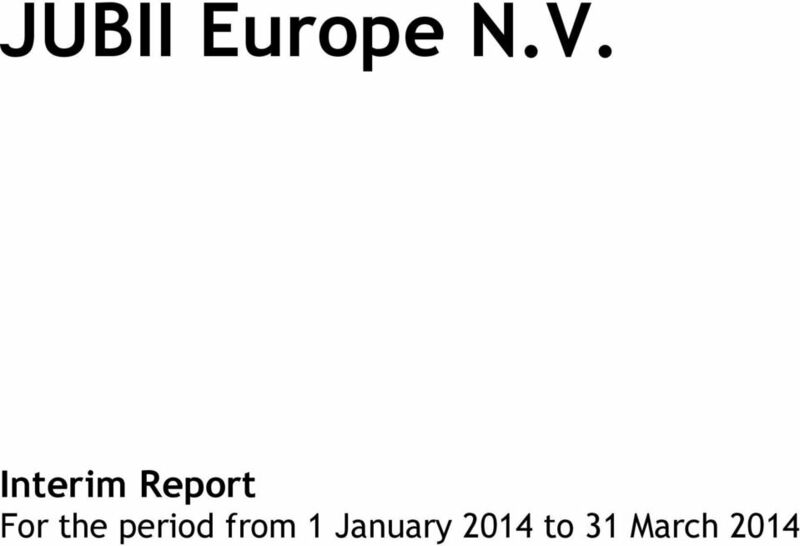 In local currencies the decrease was 1.1 per cent. 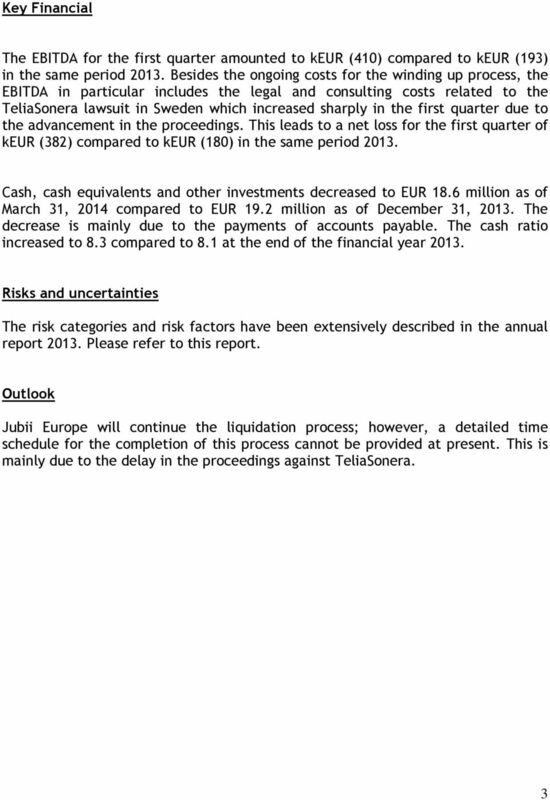 Operating profit for the quarter was SEK 12.9 (5.7) million.